The earliest roulette balls were made of either ivory or wood. Modern balls are made out of teflon, acetal, nylon or phenolic. Balls of different material behave differently, so it is important for professional roulette players to identify each type. The various roulette ball sizes are 3/8 inch, 7/16 inch, 1/2 inch, 5/8 inch and 3/4 inch. But almost every modern casino uses either 5/8 inch or 3/4 inch balls. And they are almost always teflon or ivorine as shown above. The ivorine ball is usually pale yellow, and the teflon is flat white. So basically there are FOUR main balls you will see in today’s casinos. The ivorine ball tends to be significantly bouncier, and has a higher pitched “ping” sound when it hits the pockets. 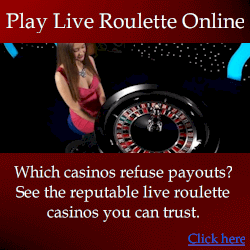 For these reasons, professional roulette players prefer casinos where teflon balls are used. The teflon balls have significantly less bounce, and are usually easier to predict. The ball alone won’t determine whether or not a wheel can be beaten. It is just another factor to consider when scouting for suitable wheels to beat. Do Ball Changes Make Players Lose? Although the ivorine balls are bouncier and harder to predict, they are usually manufactured with greater precision than teflon balls. So if you compared several 3/4 inch ivorine balls precision equipment, you would find small but significant differences between them. The differences cannot be seen with the naked eye, but they are significant. For example, if two different balls were released at the same speed, one may complete a whole revolution more than another. The testing to prove this was done with my Hybrid roulette computer, which accurately measures ball speed and predicts the distance it will roll. The teflon ball is even worse because it is often manufactured with less precision than ivorine balls. So if casino staff switch between multiple teflon balls, it will cause an even greater difference in ball behavior. This doesn’t matter to well-trained players using sophisticated techniques, because different balls of the same size and type still bounce the same way. This can be proven by comparing the ball bounce from multiple balls. To do this, you’ll need to test at least 60 spins per ball and create a “scatter chart” as shown below. So do ball changes make players lose? It depends on the system used by players. 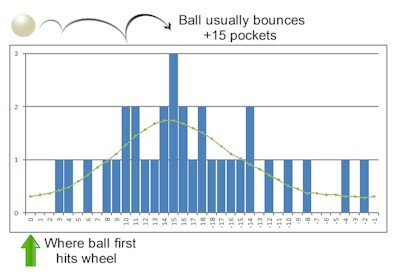 For example if they use a roulette computer that assumes the ball deceleration rate will be the same for all balls, then the player will lose. And they’ll also lose if the roulette computer doesn’t adjust to changes quickly enough. 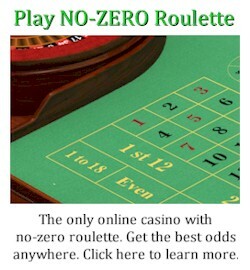 Generally ball changes make basic roulette computers ineffective. But they don’t significantly reduce the accuracy of advanced roulette computers (such as the Uber and Hybrid versions). There are many casino supply stores online. It is essential that you buy only balls with the smallest margin of error. For example a tolerance of 0.0005 inches means the ball will have less than 0.0005 of error. So the ball wont be perfectly round. You should aim to buy only balls with an error of 0.0001 inches of error (or better). But beware that some suppliers make inaccurate claims about the quality of their balls. And you won’t know until you spin your wheel and hear a rattle instead of smooth roll. I don’t normally supply them, but contact me if you want to buy good quality balls as you see in real casinos. A while ago I purchased them in bulk as it was the only way to get the right balls. But now I have more than I’ll ever use. Most roulette balls are intentionally made with non-magnetic material. Otherwise, it may allow cheating players to influence the ball’s behavior with magnets. There have been cases where players managed to switch the normal ball with a magnetic ball. 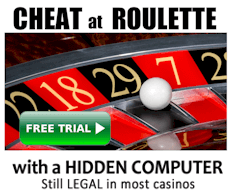 This is highly illegal, and the casino still claims to have no idea how the orignal ball was switched. Colluding staff: The simplest explanation is the casino staff colluded with the players to switch the ball, but the casino doesn’t want to admit that. Targeting inexperienced dealers: The players identified specific dealers who spun the ball so fast that it often jumped out of the wheel. The players may have then waited for the right opportunity to fetch the ball, but hand a custom magnetic ball back to the casino staff. Pretending to find a lost ball: The players may have simply returned a ball to staff, and claimed they found the ball on the floor. Then to find where the ball is later used, they could have applied magnets to random balls being used. The right ball will then respond as expected. Once the ball is in place, the cheating players could have hidden powerful electromagnets into ordinary objects they have at the wheel. Then if the ball looks like it may land in an area they haven’t bet on, the electromagnet would be pulsed, and the ball’s trajectory would be changed. It wouldn’t guarantee the players a win, but would significantly improve their chances of winning. Some automated roulette wheels have a metal core to help the ball be spun automatically. Specifically the wheel has magnets around the rim. And after each spin, the magnets lift up the magnetic ball. Not all automated wheels use such balls, but I know one particular team who are exploiting them. The wheel manufacturers don’t expect magnets can get close enough to influence the ball. I’ve seen for myself it is not only possible, but is being done. However any influence of the ball is illegal and not advised. Can Dealers Make The Ball Land Where They Want? This question is addressed in detail at http://www.roulettephysics.com/can-roulette-dealers-make-you-lose/. Basically a dealer can spin at very consistent speeds, and this will make spins more predictable. But it would still be very difficult for them to accurately target or avoid specific numbers. It would only be possible on older and easily beaten wheels. But realistically it is not possible on modern wheels in today’s casinos. Read the suggested page for more detail. ← The American vs European Roulette Wheel – Which is Best To Play On?